← A review of the documentary: Live from New York! One of my dearest and bestest friends came out to me last fall, that moment has forever changed my life. I’ll preface this with the fact I am extremely open minded. Im a left leaning, 30-something black woman so understanding the plight of the down trodden, abused, and misunderstood is easy for me. After he told me he was gay, LGBT rights were no longer an issue I merely supported, it was now an issue I was deeply passionate about. Beacuse he, my dear friend, deserves every happiness, right, and privilege that we are all granted. As a heterosexual woman I have always felt comfortable within my sexuality. I may not have always felt comfortable in my own (tan) skin, but sexuality was different. 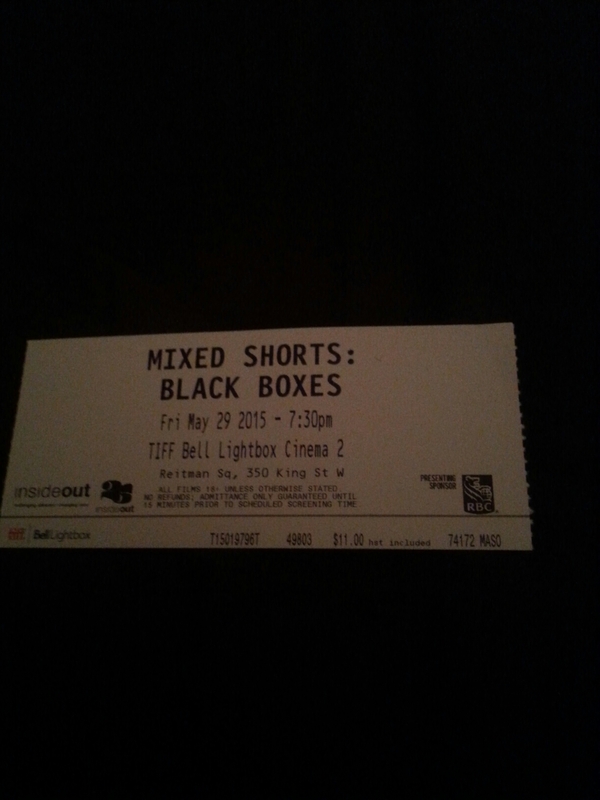 So this past Thursday when our group FB convo swithced from critiquing pop-culture phenomenon, to an invite to view Black Boxes (a collection of black film maker shorts at this years Inside Out LGBT film festival) I immediately accepted. Partly, out of sheer intrigue and mostly because I have a genuine desire to support my friend’s new desire to embrace his sexuality with open arms. Plus film fests are sort of our thing so I was excited to have another fun evening with my favourite journalism school friends. 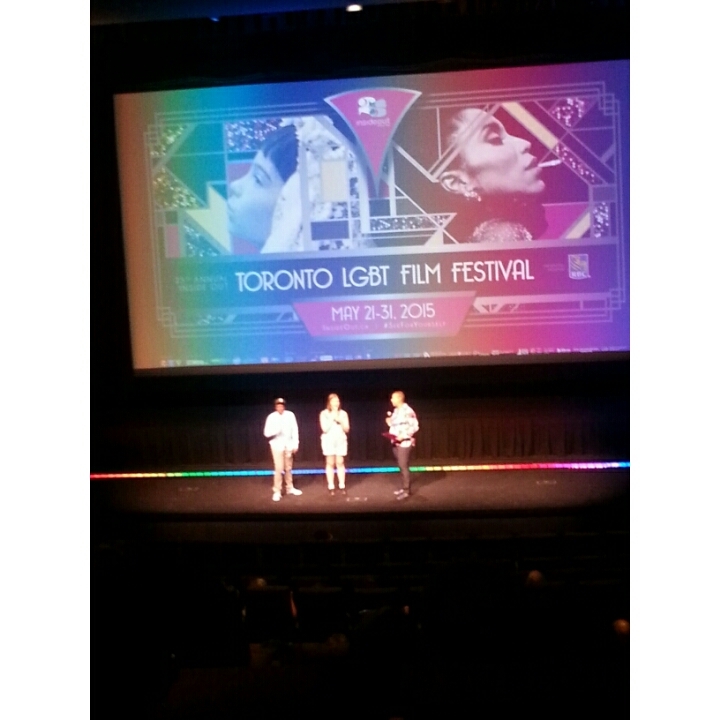 caption="Cheryl Dunye (far left) director of Black is Blue, Alysha Seriani (middle) director of Soak answer questions from a festival staff member. Black Boxes started in typical Bell Tiff Lightbox fashion, a brief directorial introduction, a round of applause and the show began. The first two films, Soak and Vow of Silence are powerful explorations into the impact of silence and solitude. Villanelle, the third film is an impactful historical account of the decimation HIV/AIDS has had on the black, gay community in New York city. Better Man depicts one man’s struggle between an intolerant religion and his desires to be himself. And All That Is Left Unsaid is a woman’s homage to her mother. 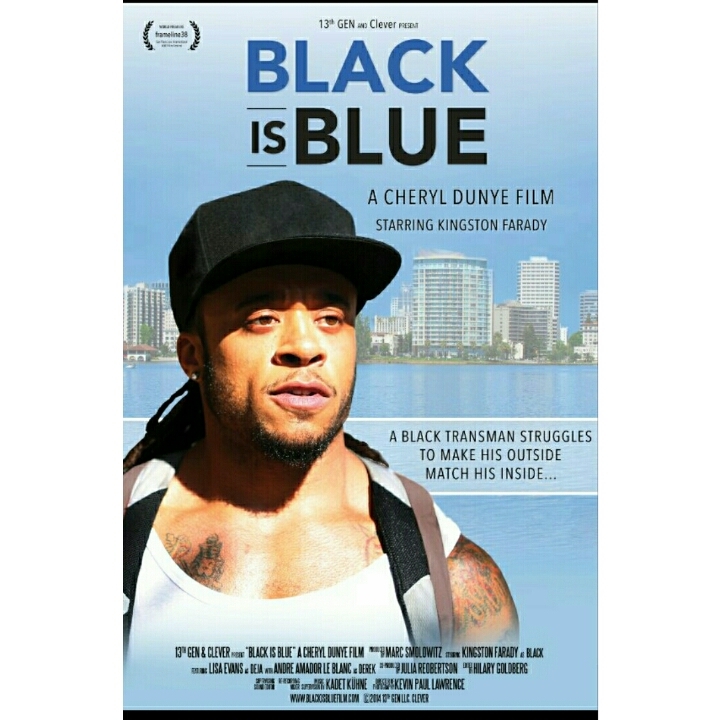 All of the films were uniquely diverse and poignant, but the fourth film, Black is Blue shook me to my core and left me questioning my sexual identity. Black is a fine man. With broad shoulders, muscular arms, long dredlocks and a killer smile. He is the man I would fawn over in a nightclub from a distance, he is the guy on the street I would give a double, even triple take and then smile coyly at. Black is a manly, man. Black is a transman. And as I stared at the screen at this beautiful specimen of manhood, I was confused. Am I lesbian? Do I want to pursue transmen? Does any of this real matter? After the film my small group had a discussion. And a friend who self identifies as ‘metrosexual’ said “I was confused, he used to be a woman? I was uncomfortable” And in that moment I realized homophobia, transphobia all the phobias are a manifestation of us being uncomfortable. It doesnt fit in our neatly packaged boxes so its uncomfortable. So Black cant just be a man, he has to be a man defined by our uncomfortableness. I hate that. I was no less attracted to him when I found out he was born a woman and I dont know what that says about me and I dont care. The pursuit of love, attraction, desire aren’t black and white, they are a muddied grey area that has moments of crystal clear clarity and at other times is an enveloping cavernous darkness that we fall into with nothing but hope. Black seemed lonely, a deep lonliness that is not understandable to those who haven’t had to navigate their gender like a mapless road in a foreign country. A lonliness, I cant fathom but could easily identify. His melancholy seemed to stretch out of an inability to reconcile his inner-identity with his new body, or rather society’s inability to see him beyond the rigid boundaries we have entrenched gender with. I applaud the film makers and actors in the collection of shorts I watched. Your vulnerability is an inspiration to all. This entry was posted in Arts, Media, opinion, Toronto and tagged All That Is Left Unsaid, Alysha Seriani, Better man, Black is Blue, Cheryl Dunye, Georgia Williams, Inside out film festival, LGBT, short films, Soak, Toronto, Toronto LGBT Film Festival, Trans, Transsexual, Villanelle, Vow of Silence. Bookmark the permalink.